Last week Ferrum College proudly welcomed the largest new student enrollment in twenty years to its Ferrum, VA campus through the doors of its newly remodeled student center and through the all-new Skeens Alumni Conference Center. The large class of 490 new students joins a total enrollment at 1,059. 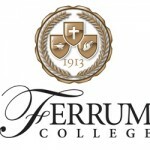 Ferrum hosts over 1,000 students for the first time in ten years. New student enrollment is up 22% over last year and 37% over two years ago. The institution has seen applications surge in recent years with a 27% increase over last year and 39% over two years ago. The new Earl G. “Bud” Skeens Alumni Conference Center and renovated Franklin Hall Student Center and Roberts Hall greeted returning students, who just last year witnessed the dedication of Arthur Hall, a new apartment-style residence hall. A whirlwind 24 months of construction is winding down with the most dramatic set of campus improvements in fifty years. Students will be eager to enjoy the new living accommodations, classrooms, meeting spaces, Internet cafés, offices and exterior enhancements from the “FerrumPLUS!” (Project Leading to Undergraduate Success) initiatives. A renovated Beckham Hall was re-opened with a redesigned, state-of-the-art classroom-focused interior in the fall of 2005. Future phases of development are being fast-tracked for consideration as enrollment continues to grow.